A Big Happy Birthday Pirate101!! One year ago today Pirate101 went LIVE. Pirates all over the world were born today and took to Skull Island on their first adventures. They met troggies, cutthroat sharks, entered the Temple of Gloom and faced off with Fin Dorsal for the first time. New ships were unbottled for the first time and excited pirates took to the skyways with a taste for adventure. 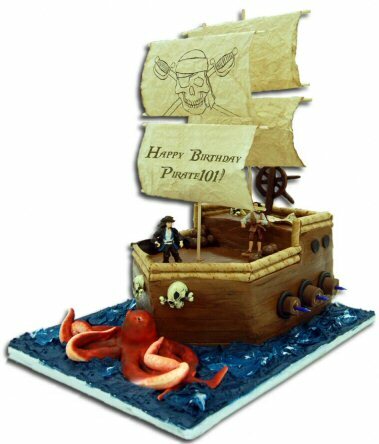 to everyone at KingsIsle and to all the Pirate Captains who are celebrating their own birthdays too!! Stay tuned to A Pirate’s Portal this week. We’ll be celebrating with free code give-aways and helping our pirate friends open a few birthday presents of wondrous treasures!! So put on your thinking caps and get ready for our new trivia questions. If you know your Pirate lore, you’ll be able to play our game for your chance to win prizes and crowns! This entry was posted on October 15, 2013, in News and tagged anniversary, birthday, games, happy, Kid friendly, kid safe, news, newsletter, online, Pirate101, Pirates. Bookmark the permalink.